UPDATE: We are holding an afterparty at Area 33 Immediately after Fable! 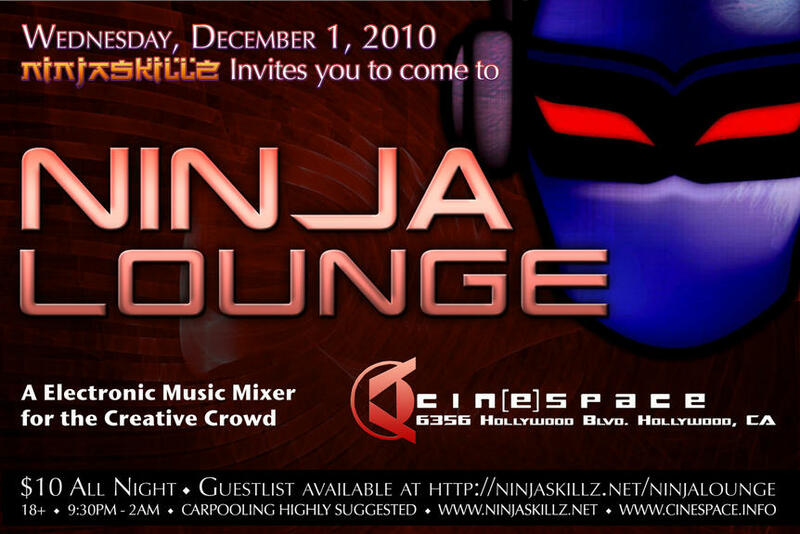 Hyjynx along with other surprise Ninja Skillz djs will be taking over the back patio. 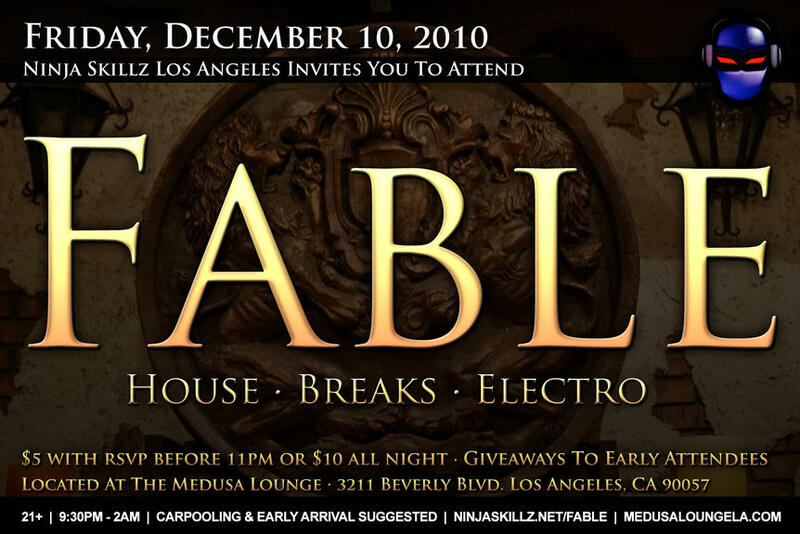 Discount passes will be passed out at Fable at the Medusa lounge. As with every story, they all must come to an end. In the continuous momentum of life every story gives way to something new, a rebirth. This is FABLE; Rebirth. To celebrate the reopening of our very successful partnership with the Medusa Lounge we are bringing back some of our very favorite storytellers, and adding a few new ones! ...$10 all night! or $5 with RSVP and arrival before 11pm at the following page. A special PORTER TINSLEY DISCOUNT, free shot on her for the first 50 people in the door! $10 with discount pass from Fable. $20 without. an electronic music mixer for the creative crowd with a selection of liquid drum n bass, progressive, house, and tech house. 18+ | No Dress Code | Please Carpool! Killer night with an amazing vibe! The Good Vibe teams with The Codega to bring you killer live acts and pumpin' electro-booty dub n' breaks. $5 entry with password "big bass" free with 3 cans of food and password "good vibes"
Are you ready to put on your Playa Clothes again? Are you ready to dance all night!? Because THIS SATURDAY we're setting up the 2:00 Esplanade for YOU! 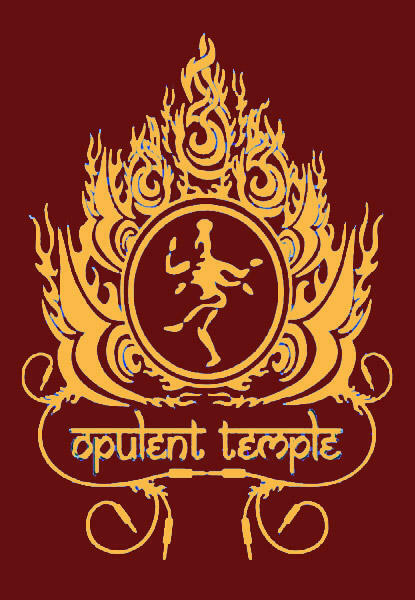 Let's gear up & return to the 2:00 and Esplanade corner as OPULENT TEMPLE DJs return to LA! 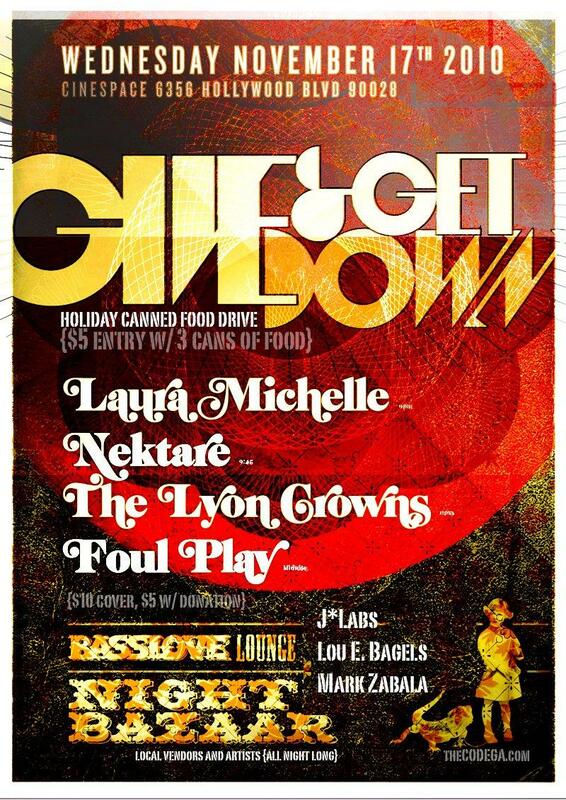 We're getting a few of our favorite opulent temple DJs to come ROCK LA For the night! ~••~ Faith D'Marco ~~ (Sapient Mongrel) doing dark dubstep! RSVP on Facebook to get all the latest details! We're going to have all night fun... for you! And the best part is... it's time to throw on those playa clothes again. Start the Halloween weekend off right!!!! 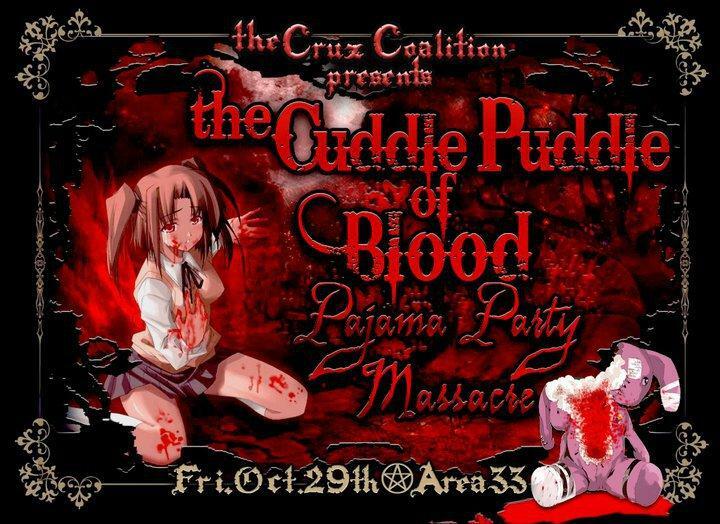 THE CUDDLE PUDDLE (of blood) PAJAMA PARTY (massacre)!!! Enter through the hall of broken dolls! BECOME A FAN OF THE CRUZ COALITION PAGE! Area 33 is a private membership event space! Event password for the evening is "Coalition!" Guarantees you a speedy entry (capacities are set for this event). This is a private warehouse dance event, so you must be listed to enter. Last year you thought you died and went to Hell---Ooo there! We're back! This time bigger and badder, your Dustination will be downtown to a secret location. The Transmorphagons land at our 4000 square foot dance floor to bring you a Hellacious hot DJ line-up that will for sure leave you undead. Look for our spooky rooftop smoking lounge, get your makeup touched up by Bryan Buzz, then head to Paynie's Paparazzi Corner for you portrait! **Accepting volunteers for actor and crew shifts. "A Vampire Steampunk Anachronistic Nightmare..."
Pocket Underground, known and loved for helping to shape the LA underground scene over the past 8 years, and the promoters who bring you The Woogie Stage at Lighting in a Bottle each year, is bringing their cozy, family style vibe, and their signature dirty, chuggy tech-house/techno that LA has grown to love, to SAN DIEGO!! This Halloween join us for a full scale POCKET INVASION! Come dressed as your favorite invader: aliens, pir...ates, ninjas, vikings, proctologists, or whatever suits your fancy. We’ll have our main room bumpin’ and an outdoor down-tempo area filled with the best DJ’s from up and down the West Coast! Enjoy $3 drinks from 9-10p and our world famous Pocket Juice cocktail all night long! Come shake it with us!! Please help spread the word, repost this on your page, let everyone who knows you know that you're coming! Official After Party for Rye Rye & M.I.A. A performance by Rye Rye & M.I.A. Bringin' a bit of the underground's edge to hollywood, Project Alma is teaming up with the good people at BJC Events to give you a refreshing night of bangin' tunes and good vibes. 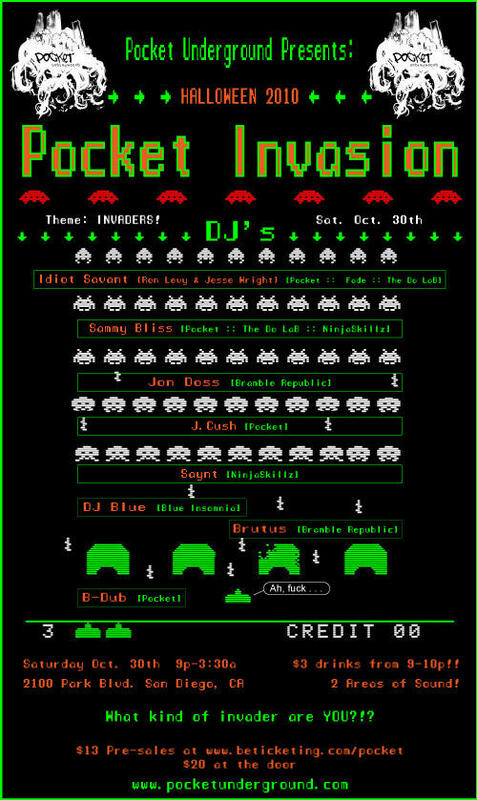 You'll hear this cast of talented DJs cross genres and bend your mind with electro mash-ups and tripped out bass-smackin beats - with a rock star cameo performance to boot! The Ecco - a green built club - is that perfect kind of mid sized club with amazing, thumping turbosound, and an intelligent integrated LED lighting installation. Come help make this collaboration a sucess, and we'll keep at it every month! Ya know... when I think about turning another year older, I can't help but think about how this year, more than any other in recent years, has been a huge year for change and growth. Scorpia and I are up in Berkeley, we're plugging away at school, and I feel like my gin-soaked pomegranate of a brain has gone in all sorts of new directions that I can't even fully begin to understand. I'm really happy to say that I'm really happy. But what I find myself thinking about a lot is the community of friends and family that I know that I have pulling for me in SoCal and all of the new additions in the Bay Area. It seems like most college students are answerable to their parents, but I know that I have a huge supportive group of nieces and nephews that are loving, supportive, and have my back. Thats a really good feeling. AND Yer Uncle Saynt misses ya! SO... it turns out that thanks to the HUSH CREW, Scorpia and I will be hopping on a plane to LA and swooping in to drop some tasty beatsez for all the nieces and nephews and celebrating another trip around the sun for me. So come out to HUSH on OCTOBER 16th, so we can grab a drink, talk about what we've been up to, and I can thank you personally for being a positive force in my life.